A bridal sanctuary for trend setting, contemporary wedding gowns. Olivia Bowen Bridal has brought established and indie designers to Melbourne, Florida, so you are guaranteed to find a unique, show stopping dress. 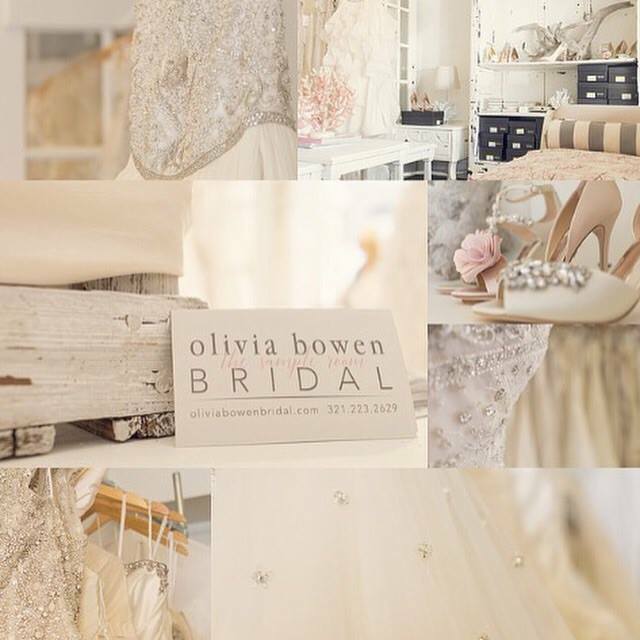 Olivia Bowen Bridal is for brides who want their wedding dress shopping experience to be laid back but with the certainty that the dresses will be unique, be the freshest designs, and be accessible in price. Gown prices ranging from $900-$5000. I bought my dress here and it was a hard choice because they are all so incredibly beautiful! Designer gowns at a great price! You couldn't have made my experience any better, beyond a happy bride right here!!! Olivia Bowen Bridal not only found my friend the perfect dress but was able to to find the perfect gown and still accommodate her teacher pay budget.